Does the Bureau of Land Management want to shoot wild horses with pesticides or sterilize them from helicopters now? Speak out against motorized vehicles (helicopters, etc.) to roundup, dart underpopulated wild horses and burros as well as transporting them away from their homes forever! Who says BLM won’t sterilize wild horses from helicopters? Battle Mountain, NV.—The Bureau of Land Management (BLM) will conduct a public hearing on the use of motorized vehicles including aircraft in the monitoring and management of wild horses and burros on public lands in Nevada. The hearing will be held on Thursday, July 28, at 6 p.m. at the Bureau of Land Management Battle Mountain Office, 50 Bastian Road, Battle Mountain, NV 89820. An annual public hearing is required to comply with Section 404 of the Federal Land Policy and Management Act. The BLM proposes to use a helicopter, fixed wing aircraft and other motorized vehicles to conduct population surveys on herd management areas (HMAs) and obtain seasonal distribution information for wild horse and burro herds throughout Nevada. Also proposed is using a helicopter to assist in gathering excess wild horses and burros on HMAs and complexes throughout the state during the coming year. The actual number of areas where gathers or population surveys will be conducted will depend on a number of factors including funding. The hearing will also consider the use of motorized vehicles to transport gathered wild horses or burros as well as to conduct field monitoring activities. We hope some real advocates will show up at the hearing to tell them wild horses are underpopulated and should be left free from harassment, period. 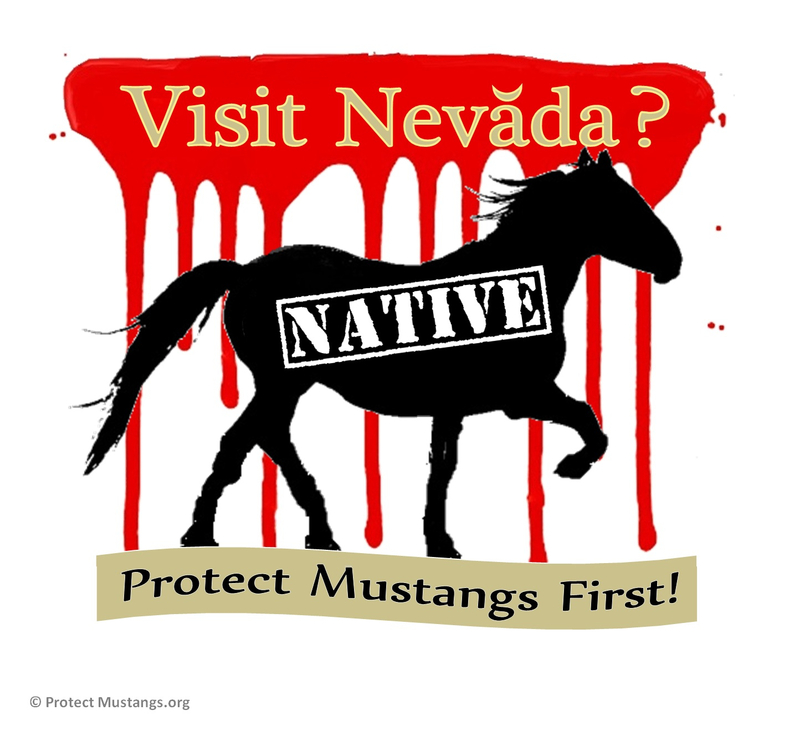 If you cannot attend the hearing, written comments must be mailed to the BLM Battle Mountain District Office, Attention: Shawna Richardson, 50 Bastian Road, Battle Mountain, Nevada 89820 and Email to: bmfoweb@blm.gov and be received by August 8, 2016 to be considered. Be sure to copy your senators and representative on your comments. Keep in mind Shawna Richardson is an active member of the pro-livestock Facebook “Solutions” group pushing sterilization of America’s wild horses. Beware: Her buddies in wild horse advocacy will say she’s just trying to help the wild horses with the “tools in the toolbox”. That’s how the traitors hide the “Final Solution” for wild horses and burros. URGENT: Petition to stop violent wild horses roundups and stop sending them to slaughter! Wild horses are a native species who must be saved! Loopholes allow the BLM to sell thousands of wild horses to slaughter middlemen known as kill buyers to dispose of alleged “excess and unadoptable” American wild horses and this must stop now! Slaughter is cruel and inhumane. Roundups are the first step towards slaughter. Craig Downer published the peer reviewed paper titled The Horse and Burro as Positively Contributing Returned Natives in North America. The NAS report states there is “no evidence” of overpopulation. Only tobacco science and spin backs up BLM’s population claim to justify roundups and fertility control/sterilizations. . . Giving PZP to wild mares also results in foals being born late in the fall or winter and dying because they are too little to make it through a harsh winter. Fertility control research trials are big business. Left unchallenged, wild horses and burros will continue to be lab rats for human fertility control research. This exploitation must stop! We request an immediate halt to roundups for scientific population studies and studies on holistic management before it’s too late. Wild horses are a returned-native species in America. Rounding up federally protected wild horses and burros has been documented as cruel. Warehousing them for decades is fiscally irresponsible. Sending wild horses to slaughter by selling them to middlemen is cruel and inhumane. Clearing wild horses and burros off public land–for industrialization, fracking, grazing and the water grab–goes against the 1971 Free Roaming Wild Horse and Burro Act put in place to protect the living legends of the American West. They must never go to slaughter. We request you defund and stop the roundups immediately as well as reverse the Burns Amendment to stop unlimited sales of wild horses to slaughter. There is no accurate census and the BLM figures do not add up. We request population studies for each herd management area (HMA) and each herd area (HA) because we are gravely concerned there are less than 18,000 wild horses and burros in the 10 western states combined. More roundups, fertility control/sterilizations and sales to slaughter will wipe them out because the majority are no longer genetically viable herds. Wild horses are underpopulated despite spin from the forces that want to perform heinous sterilizations in the field. Humane fertility control could be looked at as an option only after scientific population studies have been conducted for each herd management area. 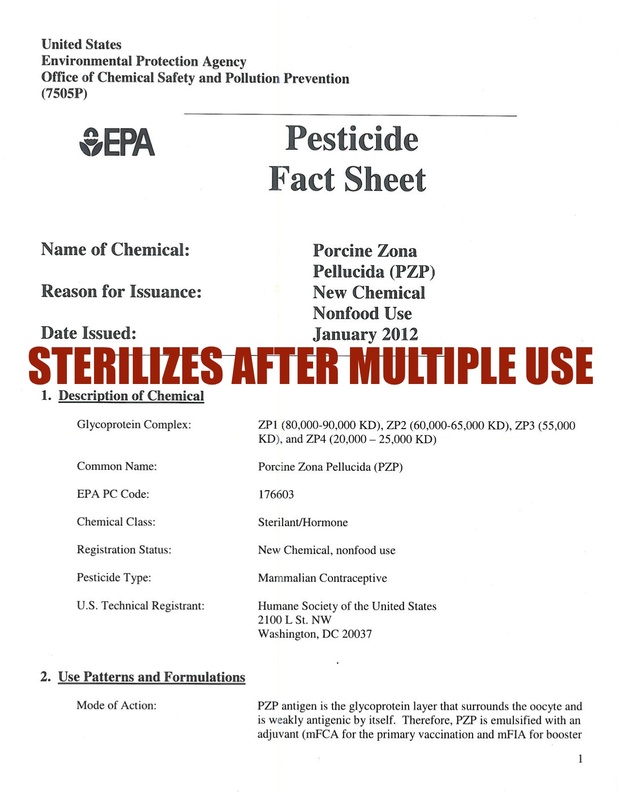 The EPA approved restricted-use pesticides known as PZP and Gonacon have risks as do other drugs . . . Right now fertility control is premature, will destroy natural selection and could cause harm because wild horses are underpopulated in the West. Field observers have noticed a worrisome decline in wild horse and burro populations since the BLM’s rampant roundups from 2009 to this day. Kindly allow returned-native wild horses and burros to reverse desertification, reduce the fuel for wildfires and create biodiversity on public land, live with their families and inspire us with their spirit. Right now America’s wild horses and burros are being managed to extinction. They need your help to stop the roundups and slaughter today. Wild horses and foals have been terrorized during research for decades–paid for with your tax dollars. The Bureau of Land Management (BLM) Ely District is scheduled in early November to begin rounding up and removing approximately 120 alleged excess wild horses from in and around the Triple B and Silver King herd management areas (HMAs) in eastern Nevada. Details will be posted on the district website as they become available. The roundups are allegedly necessary to prevent further damage to private property and provide for public and animal safety. The district will remove about 70 alleged excess wild horses from the Triple B HMA, located about 30 miles northwest of Ely, that are allegedly damaging private property, and allegedly harassing and breeding domestic stock resulting in landowner complaints. Appropriate Management Level (AML) for the Triple B HMA is 215-250 wild horses. The current population is 1,311 wild horses. The district will remove up to 50 excess wild horses from in and around the Silver King HMA. The horses to be gathered are located about 120 miles south of Ely. They are an alleged safety concern on U.S. Highway 93 and are damaging private property, resulting in property owner complaints. The AML for the Silver King HMA is 60-128 wild horses. The current population is 452 wild horses. The BLM claims attempts to keep wild horses away from private property and the highway, including trapping and relocating animals to other portions of the HMAs, have been unsuccessful. The BLM will utilize the services of roundup contractor Cattoor Livestock Roundup, Inc., of Nephi, Utah, which uses a helicopter to locate and stampede wild horses toward a set of corrals to be trapped and who has already been paid millions of tax dollars, year after year. The pilot is assisted by a ground crew and a domesticated horse, known as a Judas horse who is trained to lead wild horses into the corral. Wild horses removed from the range will be transported to the National Wild Horse and Burro Center at Palomino Valley, in Reno, Nevada, where they will be offered for adoption to qualified individuals. Wild horses for which BLM is unable to adopt out will be placed in long-term pastures where they will be allegedly humanely cared for and retain their “wild” status and protection under the 1971 Wild Free-Roaming Horses and Burros Act. A Wild Horse Gather Information Line has been established at 775/861-6700. A recorded message will provide information on daily gather activities and schedules. The BLM will also post daily gather information on its website. Roundups in and outside the Triple B HMA were analyzed in the Triple B, Maverick-Medicine, and Antelope Valley HMA Gather Plan and Environmental Assessment (EA), signed in May 2011 and available at http://on.doi.gov/1tgdHc6. Gather activities in and around the Silver King HMA were analyzed in the Ely District Public Safety and Nuisance Gather EA signed in August 2014 and available at http://on.doi.gov/1lx856K. For more information, contact Chris Hanefeld, BLM Ely District public affairs specialist, at 775/289-1842 or chanefel@blm.gov. Per the standard practice for BLM state offices that administer the Wild Horse and Burro Program to hold an annual hearing on the use of motorized vehicles and aircraft — chiefly helicopters — for counting, capturing, and carting off wild horses and burros, such a meeting has been scheduled for this date in Rock Springs, Wyoming. I regret that I cannot attend the hearing. However, I am submitting information, recommendations, and alternatives as an interested party in behalf of the wild horses of Wyoming. I request that my comments be read aloud at the hearing. The American public considers travel-by-air to be safe, even routine. Crashes are rare, and fatalities, few. Thus, it is easy to assume that all flight is safe, which is not the case. At the link below, you can replicate the searches to verify these data. In the United States, more than a hundred helicopters and planes have crashed while conducting aerial hunting, whose procedures closely resemble those involved in rounding up wild horses. Just as with BLM gathers, aerial-hunting pilots fly only a few feet off the ground and perform risky maneuvers from which they may not be able to recover. Moreover, the long hours involved, and the frustrations of working with frightened, unpredictable animals, can lead to pilot error. Video documentation is plentiful of helicopter pilots ramming horses and burros with their landing skids, seemingly intentionally. Helicopters have crashed while rounding up wild horses. BLM admits to approximately 10 helicopter accidents and “hard landings” during wild-horse gathers over the past 30 years or so. That’s about one crash every three years. What airline would stay in business with such a safety record? Using helicopters for gathering wild horses and burros is inherently risky, with no greater purposes than administrative convenience and “efficiency.” Such purposes do not justify the risks. There is no imminent threat to life or property that would require the use of helicopters to roundup some horses. BLM is wrong to continue this dangerous activity when a safe alternative is available — bait trapping. BLM’s environmental assessments often allude to the use of “multiple experienced observers” (whom I suppose to be BLM staffers) to count and photograph wild horses — or what they think are wild horses — while being flown in grid patterns over the range. Given the crash-proneness of helicopters, BLM could face a tragedy — with loss of several key personnel, friends, and colleagues in an accident. Counting wild horses does not justify this risky method. Instead, consider bait-and-or-water trapping every member of each herd — without removals. Fit them with telemetry collars, and track them. Please note that, on one of the helicopter-runs preceding the crash, BLM’s Helicopter Manager was aboard. Moreover, the NTSB report seems to suggest that the accident may have been caused, at least in part, by pilot-fatigue. Best practices (US Army flight regulations) would have called for reduced “time-on-task” — no more than 37 hours per week, with additional reductions by factors of 1.3 to 1.6 due to low-altitude flight, which is known to be more tiring than higher-altitude flight. The pilot that died flew in excess of those recommendations and, tellingly, the accident happened on the last run of the last day of that long work-week. 2. While the crash referenced above occurred during a seed-dispersal project, the NTSB report discloses that the pilot had experienced a previous accident, on October 18, 2007, … while herding horses in North Dakota. On that day, the pilot was conducting a helicopter-roundup on behalf of the National Park Service. Please see the photographs on pages 4 – 7 of the PowerPoint Presentation, found at the link below. I note that, despite the 2013 tragedy and the 2007 accident, El Aero was recently awarded a $6,000,000 contract for helicopter services relating to the Wild Horse and Burro Program. 3. On April 14, 2014, a helicopter being used by Wildlife Services to locate a radio-tagged Bighorn sheep crashed near Bullfrog, Utah. The pilot and crewmember were seriously injured. Here is the link to the preliminary accident report. Recommendation: Avoid helicopters for counting and gathering wild horses. As they say, the life you save may be your own. 4. On June 29, 2014, a helicopter being used to fly photographers around the Paul, ID area crashed. The pilot and two passengers were injured, and the helicopter was crushed. BLM staffers saw the downed aircraft and responded to the scene to render assistance (leading some onlookers to infer — mistakenly — that it was a BLM aircraft). I am including this event for your consideration because BLM personnel photograph wild-horse bands while taking inventory and when determining population-distribution. Below is the link to the slide presentation Human Factors in Helicopter Accidents that accompanied the keynote address given by NTSB Board Member Robert Sumwalt at the Fifth International Helicopter Safety Symposium. According to studies, human error remains the causal factor in 65 to 90 percent of helicopter mishaps. BLM has been gambling that the risky behavior involved in its wild-horse roundups can continue without further disasters. But the odds are against it. Such roundups are tragedies waiting to happen. BLM is negligent in continuing to use helicopters when a safe, superior gather-method is available. Ironically, helicopter pilots are typically more mature, more experienced, and have higher ratings than the average pilot. They tend to maintain their currency in time and type. Yet despite their seeming advantages, they have more accidents — 46-percent more. If a crash occurred during a helicopter-roundup, the pilot, BLM staff, observers, and the wild horses could be hurt or killed. An insightful helicopter-crash study, Root Causes of Helicopter Pilot Error Accidents, which had been posted on the Federal Aviation Administration’s Website, noted that economic pressures also affect the safety of helicopter operations. Helicopter pilots work under financial stress. They strive to maintain high utilization rates, make flights when requested, complete flights as planned, meet schedules, please people, and … make money. I am transmitting a file with the Root Causes report for your reference in addition to my comments. BLM contract helicopter pilots appear in a big hurry to gather as many horses as quickly as possible, presumably to maximize profits — they are paid a per-horse fee in addition to their flat-fee for service. They push the horses to gallop, even as the band approaches the wings of the corrals. The horses, lathered in sweat and heaving, come to an abrupt halt in the crowded pens, contrary to humane-care standards. However, it must be noted that the entity in charge — BLM — has allowed the pilots to behave in this manner. When a pilot has repetitively — and so far without incident — engaged in an activity that is dangerous, he may become complacent. Such a pilot would lose a sense of the risks that are inherent in what he is doing, becoming casual instead of careful. Boredom may also be a factor. With less vigilance, the pilot relaxes his standards, becomes careless, and puts himself and others at risk. Complacency leads to pilot error. The Root Causes study found complacency (as well as its fellow-traveler, overconfidence) to be a root cause of 55 percent of helicopter accidents. From the observed behavior of the BLM-roundup pilots, it can be inferred that they have become complacent. They appear to have lost awareness of the riskiness of their endeavors. A Superior Pilot is One Who Stays Out of Trouble By Using Superior Judgment to Avoid Situations That Might Require The Use of Superior Skill. BLM contract helicopter pilots cannot be said to meet this superior standard. When helicopters maneuver at low altitude, the rotors’ down-wash may create brownout — conditions of reduced visibility for the pilot due to blowing and recirculating dust and sand. Whiteout is the corresponding phenomenon with snow. Visual cues become obscured, and the horizon can disappear. Brownout can result in spatial disorientation — the pilot loses awareness of the orientation of the helicopter with respect to the earth. Engulfed in a swirl of dust or snow, the pilot might not be able to tell whether the helicopter is flying level or drifting into an object. In the visually-degraded environment of a brownout or whiteout, a helicopter-pilot can become spatially disoriented and crash. BLM personnel may be on board. Here is the link to a news report on how the Military is studying the problem of brownout. Here is the link to a video of a police-helicopter landing (safely) in a whiteout. BLM helicopter-roundups have taken place under both brownout and whiteout conditions. In a helicopter roundup, the pilot flies off alone looking for bands of horses to bring back from across a herd management area that can encompass many square miles. Should a crash occur in rugged terrain at a remote location, medical help might not get there in time. While the pilot may be willing to accept this risk, surely BLM should not be putting a contractor in situations that could endanger his safety — and his life — merely to round up horses. And surely BLM’s own personnel should not be asked to risk their life to perform a non-emergency job. BLM’s use of helicopters to round up the wild horses is inhumane. The horses are terrified by the thunderous, high-intensity noise as they are pursued by the low-flying helicopter. They are blasted with sand, dirt, and gravel from the rotor wash. Panicked by the chaos, they stampede, injure themselves, and become separated from their babies and bandmates. Mares miscarry. Foals become orphans. Many horses die from stress, even more have to be euthanized. Helicopter-style roundups are abusive, especially to foals, older horses, and pregnant mares. This is unacceptable. As has been documented on video, helicopter pilots conducting these roundups appear in a hurry to gather as many horses as quickly as possible, presumably to maximize profits — they are paid a flat fee plus a per-horse amount. Frustrated by the wild horses’ lack of cooperation and impatient to get them moving faster, the pilots ram the horses with the aircrafts’ landing skids, in some cases even flipping the animals into a somersault. There is video documentation of such abuses, and a court found that they had indeed occurred. There has also been documentation of contractors whipping wild horses in the face, kicking them in the head, dragging them by the neck with ropes, using electric prods on them. BLM should institute the kind approach to gathering wild horses. Roundups should be done slowly, quietly, and gently using the bait-and-water trapping approach. This method also tends to preserve family unity, which is essential to wild-horse social structure. This year has seen West Nile Virus (WNV) infections among wildlife in Wyoming. According to data submitted to the Centers for Disease Control and Prevention (CDC), WNV infections have been found in mosquitoes, birds, sentinel animals, or veterinary animals. Last year, there were at least 13 cases of humans that become infected by WNV, for which there is no vaccine or treatment. One resident of Powell died of WNV. Helicopter-stampedes can result in wild horses trampling riparian areas and in so doing, creating stagnant water puddles — conditions ideal for mosquito breeding. The prospect of a helicopter gather increasing the likelihood of WNV outbreaks among wildlife was raised by BLM in a 2012 environmental assessment. BLM was concerned because WNV has been a significant cause of mortality among sage grouse and other bird species. The precautionary principle would call for protecting Wyoming’s residents — both human and avian — from exposure to harm. The EPA notes that ground-level ozone has many detrimental health effects, which is why it monitors that form of pollution and regulates it. Fuel combustion, transportation, and fugitive dust — all of which are operative in a helicopter roundup — contribute to ozone. Freon 11, Freon 12, Methyl Bromide, Dichloromethane, cis-l,2-Dichloroethylene, 1,1,1-Trichloro-ethane, Carbon Tetrachloride, Benzene, Trichloroethylene, Toluene, Tetrachloroethene, Ethylbenzene, m,p-Xylene, o-Xylene, Styrene, 1,3,5-Trimethyl-benzene, 1,2,4-Trimethylbenzene, o-Dichlorobenzene, Formaldehyde, Acetaldehyde, Acrolein, Acetone, Propinaldehyde, Crotonaldehyde, Isobutylaldehyde, Methyl Ethyl Ketone, Benzaldehyde, Veraldehyde, Hexanaldehyde, Ethyl Alcohol, Acetone, Isopropyl Alcohol, Methyl Ethyl Ketone, Butane, Isopentane, Pentane, Hexane, Butyl Alcohol, Methyl Isobutyl Ketone, n,n-Dimethyl Acetamide, Dimethyl Disulfide, m-Cresol, 4-Ethyl Toulene, n-Heptaldehyde, Octanal, 1,4-Dioxane, Methyl Phenyl Ketone, Vinyl Acetate, Heptane, Phenol, Octane [referring to the saturated hydrocarbon not the short form of the term “octane rating”], Anthracene, Dimethylnapthalene (isomers), Flouranthene, 1-methylnaphthalene, 2-methylnaphthalene, Naph-thalene, Phenanthrene, Pyrene , Benzo(a)pyrene, 1-nitropyrene, 1,8-dinitropyrene, 1,3-Butadiene, sulfites, nitrites, nitrogen oxide, nitrogen monoxide, nitrogen dioxide, nitrogen trioxide, nitric acid, sulfur oxides, sulfur dioxide, sulfuric acid, urea, ammonia, carbon monoxide, ozone, particulate matter (PM10, PM2.5). Lead emissions to air undergo dispersion and eventually deposit to surfaces. Lead deposited to soil and water can remain available for uptake by plants, animals and humans for long periods of time. The EPA further states: “Lead is a persistent, bioaccumulative and toxic (PBT) pollutant listed among EPA’s 12 priority PBT pollutants.” Please see page 11 at link below. Why would BLM even consider polluting the environment just to round up some horses? At the link below is a compare-and-contrast analysis of the GHG emissions produced by a passenger van versus by a helicopter transporting those same passengers. Interestingly, the aircraft in question, a B206 L4, is a model that one of the contractors uses. From other documents, we know that the roundup helicopter may refuel as many as four times a day. Such a frequency brings its own dangers of pollution from spills. Bottom line: helicopters use much more fuel and, consequently, release many times the GHGs that a motor vehicle does. Which begs the question: Why would BLM employ such a polluting vehicle to round up equids when safe, humane alternatives are available? In fact, since there is no need for roundups at all, the cost, waste, and pollution are all the more indefensible. An HMA is a designated space for wild horses and burros. It should be a place of peace and quiet. Using helicopters is a violation of that environment, disturbing the peace with the deafening roar of the chopper flying at very low altitude. It is unacceptable to use such a vehicle in a wild-horse area, polluting the environment with high-decibel noise and vibrations. When throbbing occurs at low-frequencies, the actual loudness is greater than that predicted by the equivalent level. Stated another way, even though the equivalent level of a sound may be below the threshold of audibility, the sound is audible. Rate of response is defined as the ratio or relative order of magnitude of percent average noticeability comparing two unique sources of noise. In this case, helicopter noise was compared to fixed-wing airplane and train noise. The rate of response function for helicopter sounds grew at three times the rate of response functions found for airplanes and trains. This paper showed that sound noticeability may be a significant variable for predicting human response to noise. The character of the sound was a key ingredient to noticeability. Helicopters, with their distinctive sound character, appeared to be more noticeable than other sounds for the same A-weighted sound exposure level. Surely, wild horses will be similarly disturbed as well as traumatized by the roar, thunder, and rattle of the helicopter. In addition, they will suffer the brutality of being rammed by the landing skids to prod them into moving faster, as ample video documentation has revealed. Such cruelty took place in plain view of observers with video cameras. Imagine what went on out of their sight and scopes. The following link contains a chart of decibel readings taken by a person that lived near a site in East Hampton, NY where helicopters operated out of the nearby airport. Note that for helicopters flying at “dangerously low, tree-top level,” readings of 85 to 90 decibels were common. Depending on the species, trees can be 30 to 60 feet tall or taller, and the helicopter would have been higher still to be above the tree tops. At the link below, we learn that a Bell J-2A helicopter at 100 feet above ground level (AGL) reaches 100 dB. This reading is similar to those recorded by the private citizen referenced above. According to another source, the decibel reading for helicopters reaches 105 dB, or louder than a jackhammer. Altitude: 100 feet AGL. The following chart indicates that, at just 85 dB, hearing loss can occur. At 100 dB, the maximum safe exposure time is just 15 minutes. A roundup of a single band of wild horses can take much longer than 15 minutes. At this link, there are more examples of sound levels in various environments. BLM documents note — and we have seen for ourselves that — when herding equids, the roundup helicopter “would drop as low as 5 or 6 feet when turning the animals.” At this extremely low altitude, the noise level is likely well over 100 decibels, producing pain and suffering that is surely injurious to the acutely sensitive hearing of the equids. Combined with tremendous vibrations and the blasting rotor wash, the process is cruel and pitiless. It is unacceptable to subject sentient creatures to such torment. America’s wild horses must be handled with care and concern. The agencies’ administrative convenience is the least important consideration. The impacts of using helicopters for roundups include the blowing of soils, injury to plants, and stress and possible injury to wildlife. The noise, pollution, stampeding of wild horses for miles-on-end would negatively impact the environment. BLM has also been employing aircraft to conduct inventories of wild horses and burros. However, the aerial method results in significant over-counts, as evidenced by BLM’s reporting of census figures that indicate reproductively-impossible birth-rates. It is difficult to accurately count mustangs by means of a flyover, hard to tell horses apart and to know for sure that they haven’t been counted already. Due to wild horses’ roving nature — they are known to roam up to 50 miles a day — many instances of counting the same animals is probable. Indeed, wild horses may become particularly mobile, frightened into fleeing the deafening roar of the helicopter used for the flyover. Therefore, it is likely that horses are double-counted, and not per the “direct count” or “mark-resight” or the “simultaneous double-count” methods that BLM touts, but literally by counting many horses twice, perhaps even more than twice. Cows may be mistaken for horses. Deer may inadvertently get counted too. An aerial inventory also tends to include “rock horses,” which fool the eye particularly when one is high above the landscape in an aircraft traveling at relatively high speeds. Related to this phenomenon is observer fatigue, which sets in after hours in a cramped, stuffy aircraft cabin, confined by seatbelt and crash-helmet, craning one’s neck to peer out the grimy windows, counting and photographing what look like they might be horses. The process repeats. And repeats. It gets tiresome. Airsickness may become an issue. The aircraft contractor and the census-takers know what they are supposed to find: Excess horses. Funds have been budgeted for a roundup, and with government allocations, it’s either “use ’em or lose ’em.” Why, even the worst-case modeling projections say there should be excess horses — just like the estimates predicted and the extrapolations seemed to show. So, excess horses are “found.” Confirmation-bias at work. BLM needs an accurate method of taking inventory. The current approach has proven unreliable. Impossibly-high estimates of wild horse and burro populations have led to unnecessary removals, costly holding, and impaired relations with grazing permit-holders (who become alarmed by reports of a mustang population explosion) and wild-horse-and-burro advocates (who know there cannot be even half the number of mustangs on the range that BLM claims). Recommendations: BLM-Wyoming should contract the census-taking function to independent experts, ideally ones associated with a university that has a strong animal-sciences program. BLM should research new technologies for remotely tracking wild horses and burros and then procure the system that best serves the purpose. There might even be a way to link the tracking devices to a data-base that would store comprehensive information on each animal. By employing technological approaches to tracking, BLM will secure accurate, reliable data for management purposes, including a complete demographic breakdown of the wild horses and burros in every HMA along with each equid’s genetic profile. Why Would an Over-Count Be So Bad? BLM justifies the need for a roundup when it estimates that horses in excess of the “appropriate management level” (AML) populate an HMA and/or have taken up residence outside an HMA. From this estimated population figure, BLM typically subtracts the lower bound of the AML to determine how many horses to remove. 50 — will be released back. The 100 that supposedly don’t get caught, plus the 50 that are to be released = 150. The helicopter roundup ensues. Just 300 horses are captured — but they constitute the entire herd. All are removed (“gate-cut”) because the gather seemed to fail to achieve its “efficiency” goal when, in reality, the roundup got 100 percent, thus exceeding the goal and wiping out the herd. BLM assumes that 200 horses cleverly hid and evaded capture, and that they are still on the range, breeding away. In fact, the herd has been rounded up into extinction. The aircraft service providers used by BLM for conducting inventories and roundups know the score — if “excess” horses are found, a roundup will be scheduled and they can make some serious money. Thus, there is motivation to find — or create the appearance of — an over-population. Result in the false appearance of a need for a roundup. Thus, the helicopter inventory method suggests the appearance of a conflict of interest. The potential conflict pertains to the incentive to increase revenues through generating more billable services and more billable horses. Recommendations: First, reform the census methods as earlier advised. Then, reform the roundup procedures by abolishing the helicopter-stampede method and instead, employing bait-and-water trapping. These corrective actions will eliminate the conflict of interest. Helicopters are not the only vehicles of concern. Trucks and trailers transport the gathered horses and burros, first to short-term holding, and eventually to long-term holding in most cases. Which brings up transit time. Prolonged confinement in trailer-travel is bad for horses’ health. BLM’s procedures call for mustangs that are in transit to be offloaded, rested, watered, and fed during journeys lasting more than 24 hours. However, the rest-stop provision may be waived (and probably usually is) if the “stress” of receiving a rest stop is deemed likely greater than the stress of uninterrupted travel. The procedures I’ve reviewed do not reveal who makes this determination or who monitors compliance. It is difficult to envision any scenario that would provide for an easy offloading of wild horses. Are there contract facilities along the way for this purpose? BLM does not say, but probably not. Thus, the supposed provision for humane transport is merely theoretical. The mustangs suffer terribly, since these trips to long-term holding surely take more than 24 hours. On the “Tips for Traveling with Horses” episode of the “Best of America by Horseback” show that aired on RFD-TV on February 16, 2011, the guest veterinarian advised that horses should not be transported longer than 12 hours. Studies have disclosed a higher incidence of fevers and respiratory infections when travel-time exceeds 12 hours. Thus, there is no doubt that the wild horses, already stressed and crowded together in a cattle-car for more than twice that amount of time, will suffer illnesses as a direct result of the prolonged transport. The extended period in transit may be one reason why mustang fatalities in long-term holding (eight percent) exceed both those that occur in roundups (one percent) and those that take place in short-term holding (five percent). So, here we have costly roundups, extravagant expenditures of taxpayer funds to ship wild horses around the country when there is room for them right where they are, and an inhumane method of said transport leading to more expenditures for veterinary care due to illnesses brought on by excessive time in transit. Recommendations: BLM should create a mustang-transport task force to come up with ways of routing horses so that time in transit is always less than 12 hours. The team needs to develop not just procedures but definitive ways of verifying driver compliance. Possibly, electronic tracking mechanisms could be placed on the trailers to monitor location, speed, and other data. Intermediate check-points could be established. Also, BLM needs to devise a way to monitor to ensure contract drivers are operating their truck safely, and in a way that minimizes stress on the horses. Merely having rules and securing assurances are not enough. Trust, but verify. There is also a concern about the length of time horses may be kept in trailers that are not moving. BLM’s policy says that wild horses may not be left standing “… for a combined period of greater than three (3) hours.” Crammed into a trailer in the hot sun, three hours is a long time. This provision needs to be reconsidered and reformed. Recommendations: Total time for the horses to be confined in a trailer without the vehicle being in motion should be limited to 1½ hours. During rest and refueling stops, the trailer should be parked so that it is protected from the elements. Another issue that must be resolved is how to verify and enforce driver-compliance. Long-term holding for the many horses that are not adopted. Through crunching the numbers, BLM will likely determine that a better use of its funds — and its helicopters and motorized vehicles — would be for rain-catchment projects. Guzzlers would improve conditions on the range for all water-consumers — livestock, wild horses, and wildlife — for decades to come. Thus, expenditures for such beneficial range improvements would not merely be costs but long-term investments. I urge BLM-Wyoming to repudiate helicopter roundups and, instead, implement bait-and-water trapping as the method for gathering wild horses. I ask you to take this approach right away. Helicopter roundups should have ceased long ago. The spectacle of this brutal roundup method being used against the wild horses has horrified the nation. It is in the Agency’s own self-interest to stop incurring negative publicity and casting itself in a bad light. I urge you to reform your methods. End helicopter roundups. I urge the BLM-Wyoming to ban the use of helicopters, whips, and electric prods in gathering and maneuvering wild horses. It is time to implement cruelty-free, whip-free, prod-free operations. I urge the BLM-Wyoming to require the use of the kind method of gathering wild horses — bait trapping. This method is a true best management practice. Because bait-trapping has been proven effective, it makes sense to adopt it — after Wyoming’s wild-horse herds substantially exceed the minimum-viable population (MVP) level prescribed by the International Union for Conservation of Nature (IUCN) with regard to wild equids. Recommendations: Use bait trapping exclusively. The goal is for bait-trapping to replace helicopter roundups. Bait-trapping should not be just another method of gathering horses but the method. I urge the BLM-Wyoming to embrace the superior bait-trapping approach. The public is interested in observing wild-horse roundups. Even though bait trapping is safe and kind to the horses, we wish to see the process in action. But because this method is slower, and requires waiting for the horses to enter a trap, observing in person will be challenging to arrange. Recommendations: Install real-time video cameras — “caval-cams” — at the trap sites and corrals Live-stream the video on your website. That way, any member of the public can monitor a gather online. Think of the public-relations advantages of video-cams over the current practice of keeping observers unhappily far away from the site. Of course, there may still be some observers that prefer to visit the traps and corrals. That option should still be available. However, it will no longer be a contentious matter. Bait trapping is a gentle process, so most of the safety precautions currently necessary due to the dangers of low-flying helicopters chasing stampeding horses will be eliminated. If Wyoming’s BLM staffers do not feel qualified to conduct bait trapping, there are trained units that could be brought in to do it or to show staff how it is done. Learning something new is an opportunity for personal as well as professional growth. BLM’s Billings Field Office (Montana) eschews helicopters in favor of bait trapping. Externally, the American Wild Horse Preservation Campaign and The Cloud Foundation can refer you to an an expert in water trapping that works with the US Forest Service and, thus, is an approved contractor. When herds significantly exceed the IUCN population guidelines for sustainable genetic viability, a bait-trapping gather may be necessary. The appropriate time to gather wild horses is in autumn — before the snowfall season. By then, foals are older, and temperatures are cooler. Small-scale, annual fall events will mean fewer horses coming up for adoption, and they will be available just in time for the holidays. The horse adoption market won’t be overwhelmed — as it is now — and fewer mustangs will need to be placed in sanctuaries, preserves, or long-term holding. Such an approach will prove cost-effective, enabling BLM to redirect the budget to rangeland improvements and other purposes. BLM has been exploiting alleged complaints from private-property owners of wild-horse trespass to set up capture-corrals on those very properties. The corrals are baited to induce the wild horses to trespass, and when they inevitably do, they are punished with permanent denial of their freedom. This approach is wrong. Siting bait-traps on private property invites trespass and rewards it, likely provoking even more wild horses to leave their herd management area (HMA) than the few that may have wandered. Further, BLM then uses the private-property location of the traps as an excuse to bar humane observers, thus shrouding agency-operations in secrecy, which raises suspicion as to what you are hiding from the public. I would also point out the appearance of a conflict of interest — permit-holding ranchers that use the HMAs to graze livestock are often the very ones complaining. By getting rid of the wild horses, they free up more room for their cattle. Some unethical permit-holders may even lure wild horses onto their property for this very reason, thereby giving themselves an unfair competitive advantage. 1. BLM should install guzzlers and mineral licks well-inside each HMA to encourage the wild horses to remain within the boundaries of their dedicated habitat. If supplemental forage is provided, it must be dropped toward the middle of the HMA. These proactive steps should be taken first. The goal is to draw the mustangs back into the HMA and to give them motives to stay there. 2. Complaints of wild-horse trespass received from permit-holders should be investigated and verified, with the “bring-’em-back-home” measures described above taken as the first response. 3. The perimeters of the HMAs should be fenced, and those fences, maintained. 4. Bait-traps must be sited on BLM land, where public-observation can occur. Use such vehicles to cart in materials … such as to haul water during drought, to bring supplemental forage to the wild horses, and to transport construction-materials for the installation of water catchments — guzzlers. The Wild Horse and Burro Program is a high-profile / hot-button topic. The Program is national in scope, and is monitored by dedicated advocates. Comments received from the public are beneficial, but consultation-efforts should not end there. BLM-Wyoming needs to cultivate real partnerships and establish good working-relationships with mustang-advocates, particularly with the leaders of the prominent national, state, and local organizations working to protect the interests of wild horses and burros. Representatives of our sector must be formally included in the planning process right from the start and all along the way. I urge BLM-Wyoming to publish the minutes of the hearing — as you did in 2013 — including the number of persons that participate in the hearing, both those that attend in person and those that submit comments. Show that you value every response on its own merits rather than labeling some as “form letters.” The Constitution provides for the right of citizens to petition the Government for a redress of grievances. The Constitution does not require each complainant to formulate a unique letter. Indeed, the very word “petition” connotes a document that multiple parties sign in agreement and solidarity regarding a particular issue. At court, there are even class-action suits, wherein many plaintiffs join together to seek justice regarding a matter of mutual concern. One action, many parties. What modifications, corrections, improvements will BLM make per the public input. The process is supposed to build consensus. The public-involvement component is designed to get feedback from those persons interested enough to participate in the planning process. Disregarding feedback leads to decisions that are not supported by the majority of stakeholders. Recommendations: Each and every comment must be honored fully, individually, and collectively, with the numerical results published. BLM-Wyoming’s 2013 hearing in this regard lasted just 13 minutes! The meeting commenced at 5:30 p.m. and concluded at 5:43 p.m. The six attendees were each allowed a maximum of two (2) minutes to speak. Questions were disallowed. A number of the attendees had traveled from out-of-state to take part in the hearing. By severely limiting the time allowed and by prohibiting questions, BLM showed contempt for these dedicated citizen-taxpayer-advocates and for the public-input process itself. Profanity and vulgar language will not be allowed. Please keep your statements clean, or you will be escorted off the premises. The hearing manager concluded the event … by suggesting that attendees might try to hide in the restrooms! I would ask that everyone gather themselves and proceed to the exit. The building will be cleared. The restrooms will be checked and the building secured. This hearing is now adjourned. Thank you. A required annual hearing needs to be a meaningful event. I suggest that a minimum of four hours be set aside for the hearing. A full day would be better. If the public were to see that BLM took these hearings seriously, more persons would surely attend. Ample time must be reserved for each participant to comment, with the amount of time extended if there is a low number in attendance. I suggest 30 minutes per person. Question-and-answer periods are essential, and dialogue should be encouraged. BLM staffers should be provided training in customer-service skills, and they need to be reminded that courtesy and respect must be shown to members of the public. BLM employees must be reminded that they are duty-bound to honor the public-input component, which the subject hearing is meant to fulfill. Renounce the use of helicopters under any circumstances. Use motorized vehicles only to carry in water, forage, or materials. Respect hearing-participants, and respect the public-input component. Thank you for this opportunity to participate in this hearing by submitting substantive comments. Would you please keep me informed and on your mailing list to be notified regarding matters that affect the wild horses of Wyoming.